Gervase Spencer was a prolific English miniaturist who lived from 1715-1763. He painted on both ivory and enamel grounds. Several of his pieces are held by the Victoria and Albert Museum. 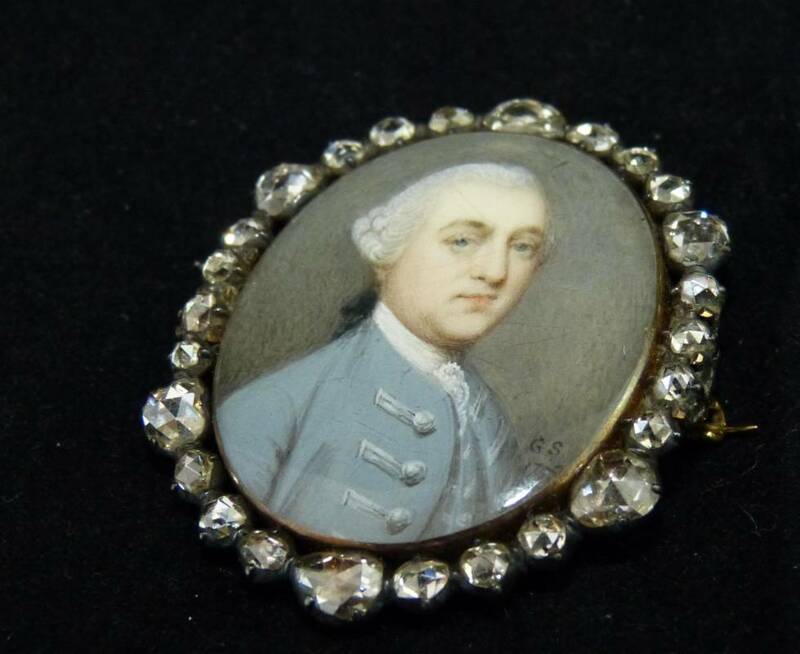 We were delighted to offer this miniature in April`s sale of a distinguished looking gentleman. The miniature is signed and dated 1758. 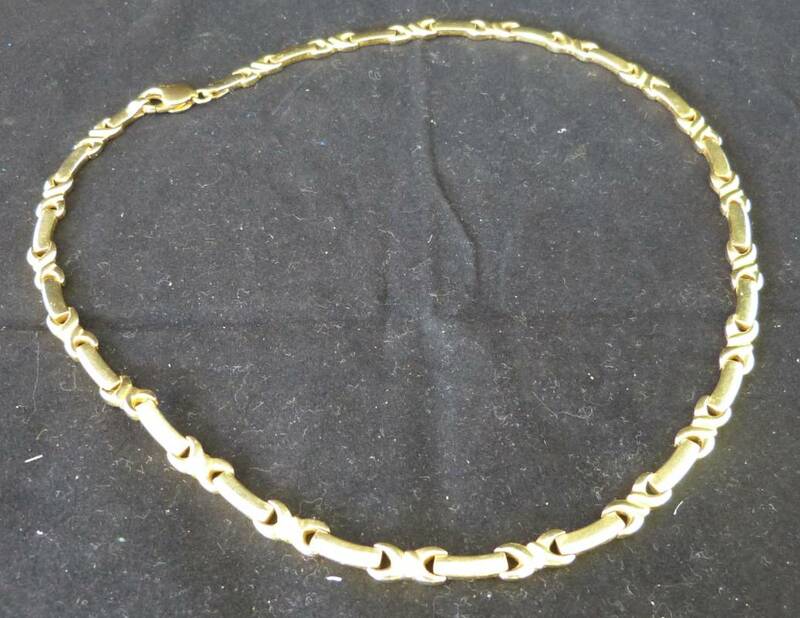 It is in a gold frame and surrounded by 26 rough cut diamonds. The lot sold for £1750. 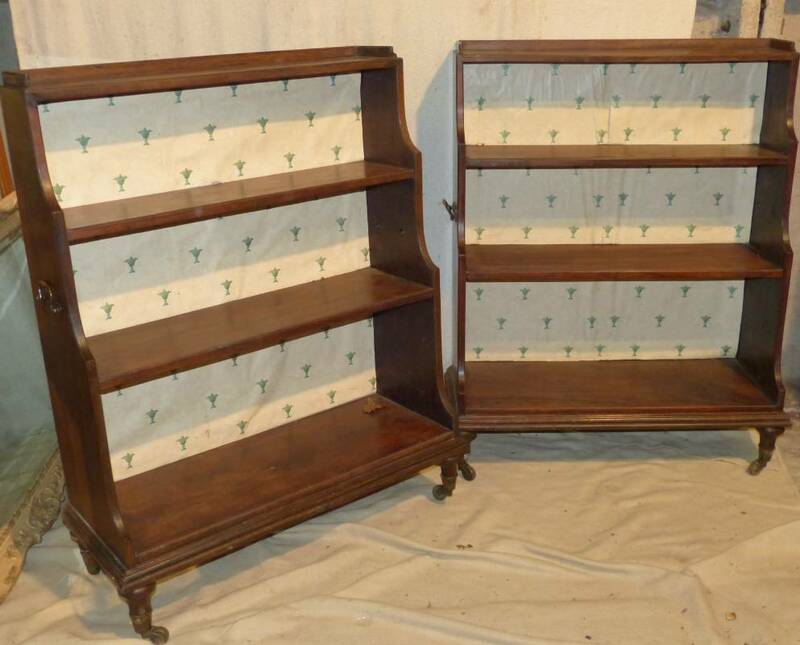 Just over a quarter of our twenty top items were items of furniture which just goes to show that the customers are there for brown furniture when the quality of the furniture is good. 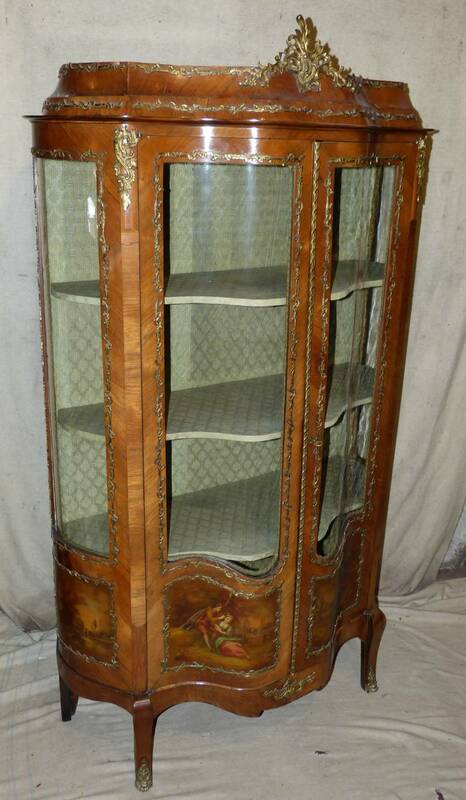 A pair of George III mahogany, four-tier open bookcases sold for £1520 and an eye-catching continental Kingwood Bombe fronted vitrine went for £860. 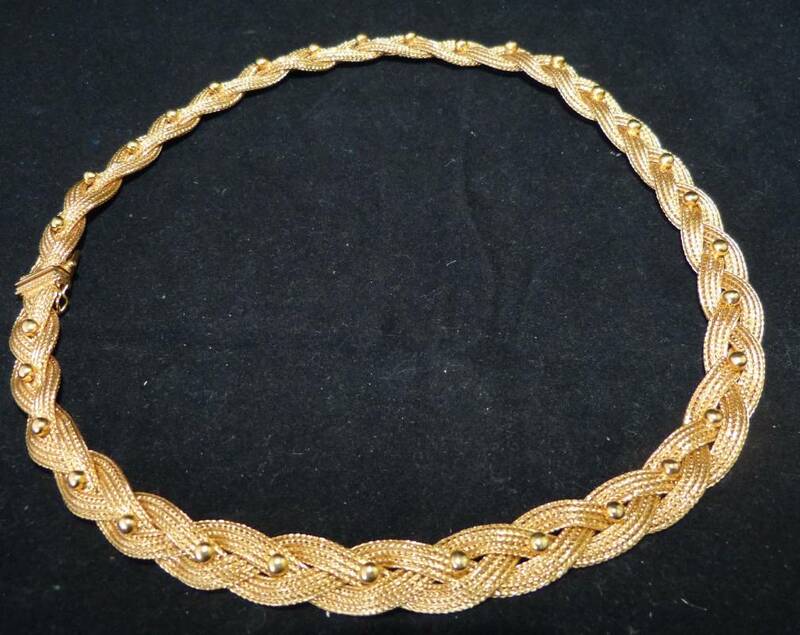 Jewellery continues to sell well with two gold necklaces (lots 388 and 389) selling for just over £1000 each. Next sale is on June 3. Hope to see you there.